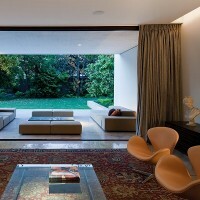 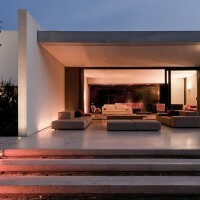 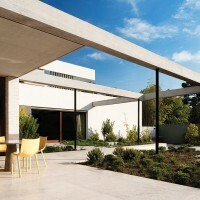 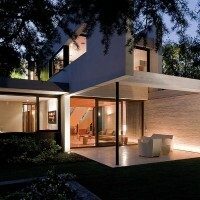 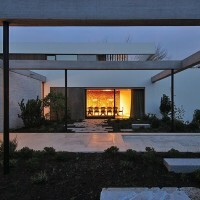 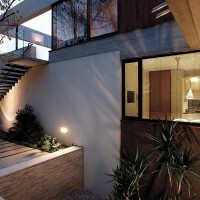 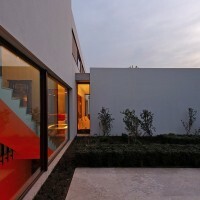 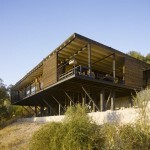 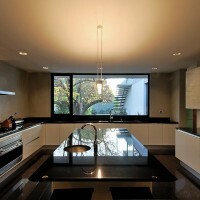 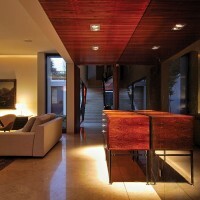 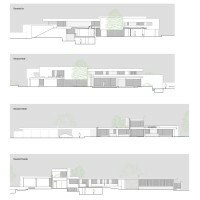 57STUDIO have designed the Fray León house in Santiago, Chile. 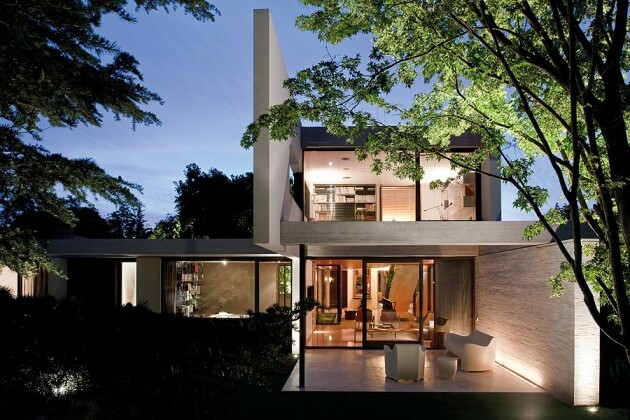 The house is located in a district in the east area of Santiago, and one of its characteristics is the presence of old trees. 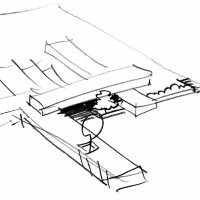 The spaces are organized in an “H” shaped plant adapted to the lot, having great care for the trees and creating patios that reinforce their presence from the inside. 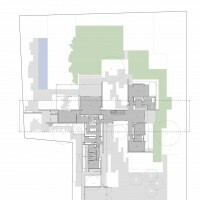 The first level is organized around a native Peumo (cryptocaria alba) that goes along with the access from the south. 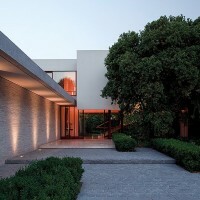 From the hall is emphasized the presence of a huge Avocado tree and the private wing towards the east is bounded by an old Cypress. 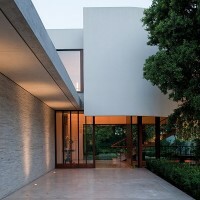 The public spaces in the west wing open towards the garden through a terrace by the north. 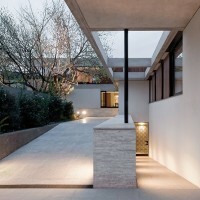 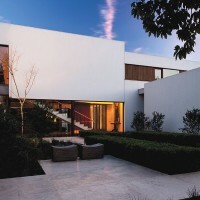 The house is preceded by a paved esplanade built to prolong the approach of the visitor towards the access, where the Peumo gains a major presence.